We think they could’ve come up with a better logo, though. Overwatch League fans continue to learn more about the newest teams joining the league in 2019. 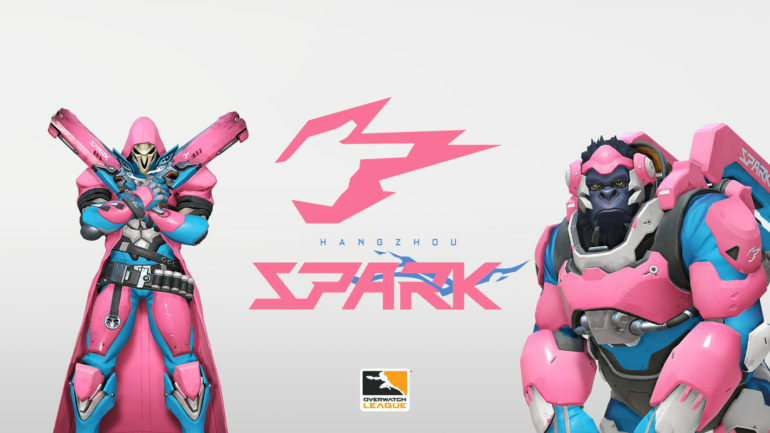 Hangzhou Spark has been confirmed as one of the OWL expansion teams for season two, the organization announced earlier today. The logo, though, is a little lackluster—it’s essentially just a finger gun surrounded by pink electricity. It’s probably the worst logo out of all the new OWL expansion teams that have been revealed so far. In September, the Overwatch League announced that eight more teams would be added to the league heading into 2019. Other expansion teams that have already been revealed include Atlanta Reign, Toronto Defiant, Paris Eternal, Guangzhou Charge, and Chengdu Hunters. The name and branding of Hangzhou Spark shouldn’t come as a surprise to most Overwatch League fans, however. A Reddit post on Nov. 7 leaked several names and logos for OWL expansion teams—but this post actually showed that the Hangzhou logo was blue instead of pink. Hangzhou is the capital of China’s Zhejiang province and had a population of over nine million in 2017—so plenty of citizens should be interested in becoming fans of this new team. Hangzhou Spark will officially debut in the Overwatch League when season two begins on Feb. 14 at Blizzard Arena Los Angeles in Burbank, California.